All3Media-owned prodco Maverick Television has named a former Boundless Productions and Renegade Pictures development exec as its creative director. Hannah Brownhill will take up the role among Maverick’s senior management team on May 13, reporting to CEO Simon Knight. Brownhill will be tasked with adding new and distinctive popular factual and factual entertainment shows to the UK- and US-based firm’s existing slate. Maverick is behind titles for UK broadcasters including ITV series The Ritz, Channel 4 commissions Escape and Tried & Tasted: The Ultimate Shopping List, CBBC medical series Operation Ouch and Bizarre ER for E4. In the US, it is behind unscripted hit Chrisley Knows Best on USA Network and its recently launched spin-off Growing Up Chrisley. Brownhill has previously worked on the production and development of features and factual entertainment brands in the UK indie sector, including spending time at Maverick. At Boundless Productions, she worked on popular series Would Like to Meet, House Doctor, How Clean is Your House?, Four Rooms and Great British Railway Journeys, before heading up development and securing commissions including The Week the Landlords Moved In, An Hour to Save a Life, Worlds Toughest Jobs, House Doctor Returns= and Secrets In My Family. 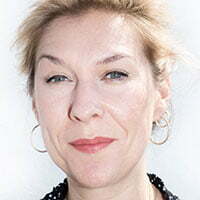 During her most recent role, as director of development at Renegade Pictures, Brownhill revamped the factual entertainment slate, adding returning formats and securing paid development projects for UK broadcasters Channel 4, the BBC and W.
The creative director role at Maverick was first held by James Quinn, who left after a short stint in 2017.